North Maroon is a famous Colorado 14er in the Elk Range. 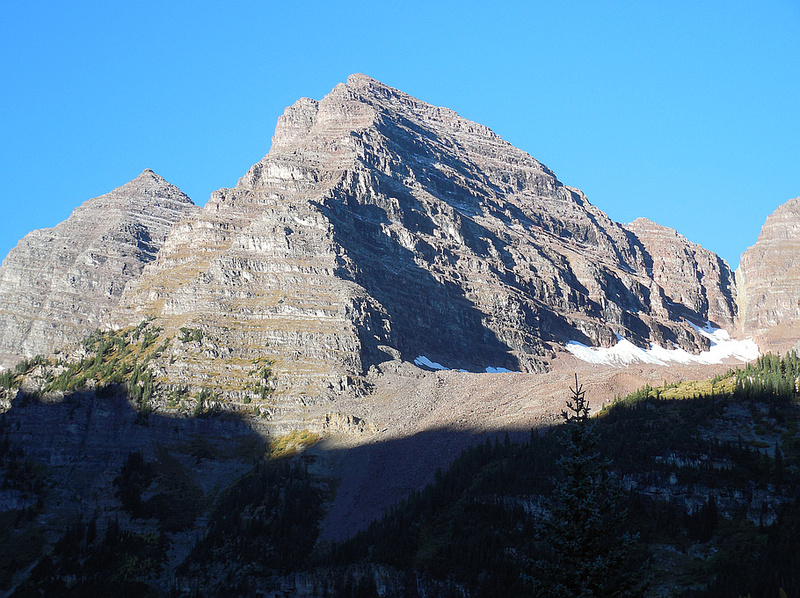 It along with Maroon Peak encompass the famed Maroon Bells, two of Colorado's most iconic peaks. North Maroon is the more difficult to summit. From its base it looks unclimbable without ropes. The two Bells are separated by about a third of a mile and both are usually counted as 14ers despite the sub-300 foot prominence of North Maroon. The traverse between the two Bells is one of the four great Colorado 14er traverses. 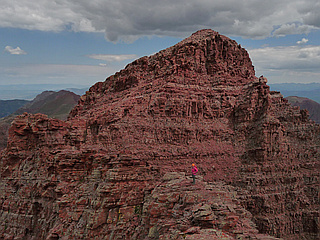 Summiting both Bells in one day via this traverse is known as "Ringing the Bells". The view of the Maroon Bells from the Maroon Creek valley is one of the most famous scenes in Colorado and is reputed to be the most-photographed spot in Colorado. These mountains are often called "The Deadly Bells" due to the loose, unstable, maroon-colored rock found on all routes. Many have died.